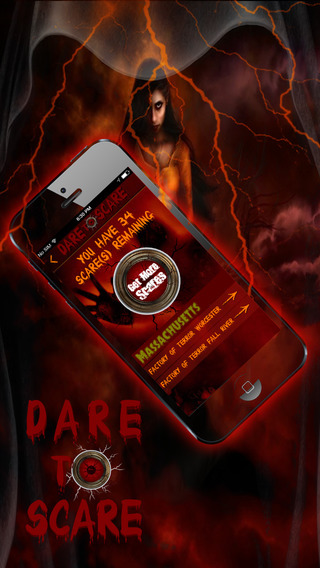 Dare to Scare is the first ever reality scaring app. We use the latest technology to get you into the action! From your smart phone you will be able to access live streaming video from inside different Haunted Attractions from anywhere in the world! Once you are viewing the live video, you will be able to remotely trigger props and watch people’s reactions and see them run in fear. Each time the reactions are different and exceptionally entertaining, making this app a must have for all ages. Get One Scare FREE on installation. Purchase option available for next scares.